Travel to South Korea is expensive, yes I agreed. But doesn’t mean we can’t travel on a budget. There is always a way to travel with a limited budget but we still can enjoy the journey. Here are some tips that might help you to plan your trip to South Korea on budget. 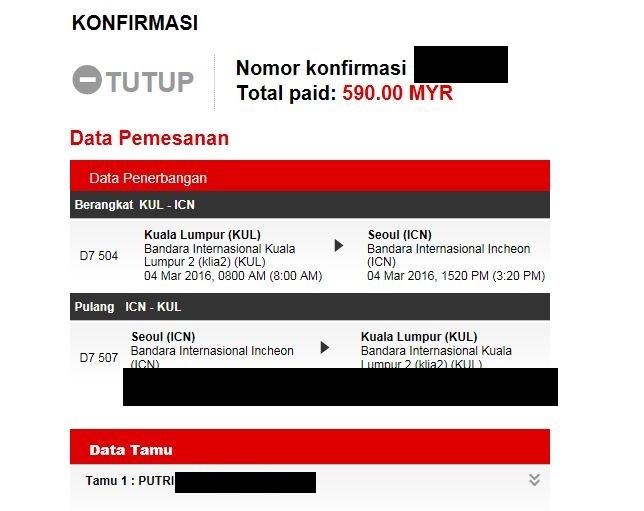 Flying to South Korea from Indonesia is expensive, it is start from Rp 6 million but when you book in advance you may get IDR 4.5 million. You also can consider to travel from Kuala Lumpur as it offer cheaper price, I got Rp 2.5 million. Read this article to find how to travel with a cheap ticket. Seoul, Busan and Jeju are the destination city for people who travel to South Korea for the first time but if you travel less than 10 days, skip one of those city. You can choose to use by plane, KTX, train or bus, but of course you have to choose wisely and do some research first. Travel by plane is not always expensive, once I checked travel to Jeju from Gimpo Airport, Seoul is cheaper than if I take ferry from Busan. Instead of travel by KTX, you can take Mungungwa night train or night bus to travel to Busan from Seoul, it is cheaper and you can save 1 night accommodation. Public transportation in South Korea is very convenient, you can use subway and bus to get around. Buy a transportation card like Seoul Pass or T Money, these two card has a different benefit. Seoul Pass only can use at Seoul, for other city you can buy that city pass while T Money can use in most of city in South Korea, using T money has a cheaper rate KRW 100 compare to single journey ticket. Some place like Sinchon and Hongdae is accessible by walking around 10-20 minutes, you can consider to walk. There are few option to transfer out of Seoul Incheon airport, the cheapest way is take AREX all stop train. Seem impossible? No, it is not. Some of hostel and guesthouse in Korea has a hotel standard like they provide toiletries, breakfast, ensuite toilet and more. Book your accommodation near the subway and the area according to your itinerary, it will save some time and money for you in term of transportation cost. Stay in dormitory in hostel/guesthouse is an option to travel on budget, the price for dormitory start from KRW 12.000/pax/night. During my stay in South Korea, I stay in different hostel every day, the price range from KRW 12.000 to KRW 22.000. I just want to experience many kind of accommodation, you don’t need to do this. Arrange your daily sightseeing activities based on location. Visiting the spot in area that close to each other will help you to save the transportation cost and also time. Find the discount rate for the entrance fee for activities you wish to do/visit, check Visit Korea website. There are discount 20% for some entrance fee like Nami Island, Petite France, even shopping. If you plan to visit many palace in Seoul, purchase the integrated ticket, it will cut the entrance fee down. Consider to find accommodation with breakfast, to save eating expenses. Lunch and dinner at small restaurant will cost you about KRW 9.000 to KRW 20.000, so imagine if you could cut this cost down. Instead of eating at local restaurant all the time, you can buy a rice in convenient store, eat with grilled seafood they sell on food street market or even better if you can bring ‘allowed dried cooked dish’ from your hometown. Most of the hostel provided mineral water, bring your own bottle, refill before you go out. Shopping at Korea is very interesting and tempting, so many cheap fashionable clothes, shoes and accessories. It is not international branded but you can find the good quality, I love to shop in Hongdae area, it is cheaper. Are you fans of Korea skincare? Buy your stock while you are in Korea because the price is much cheaper compare to Indonesia.